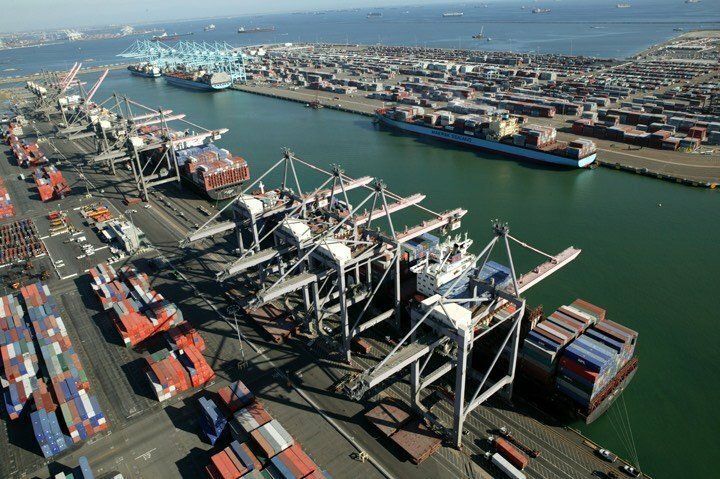 A group representing port terminal operators and ship owners on the US west coast is calling for the Ports of Los Angeles and Long Beach to rein in some aspects of their Clean Air Action Plan (CAAP) for fear of harming the seaports’ economic competitiveness. In a letter expressing its members’ concerns, the Pacific Merchant Shipping Association (PMSA) says the latest CAAP initiatives would impose too great a cost and that is unwise at a time when the ports’ share of the US container market is declining (from 35.5% in 2006 to 32% in 2016). The neighbouring southern California ports – the busiest two container ports in the US – have been co-operating for several years and with significant success on ways to reduce air pollution related to port activities. Such has been the effectiveness of their campaign that over the past decade they have lowered diesel particulate emissions by 85%, eliminated 97% of sulfur oxides and reduced greenhouse gases by 12%. All those are huge benefits in the smog-prone Los Angeles region. The San Pedro Bay ports have utilized a battery of policies and technologies to cut emissions from ships, trucks, trains, cargo-handling equipment (CHE) and harbour craft. Among the most effective strategies has been making docked ships use cleaner shore power rather than run their own engines. Now the latest edition of the CAAP (released for feedback and comment from the public and interested parties in July) wants to go further, setting zero emission targets for some vehicles as well as implementing more technology. PMSA says the ports’ calculations have underestimated the cost of electrification for CHE. It also says the CAAP target of zero greenhouse gases from CHE by 2030 is too extreme as the state of California’s own Sustainable Freight Action Plan sets a target of only 80% reduction by the year 2050.